Smartwatches aren't for everyone, but for many (including myself), they can be incredibly helpful at times. 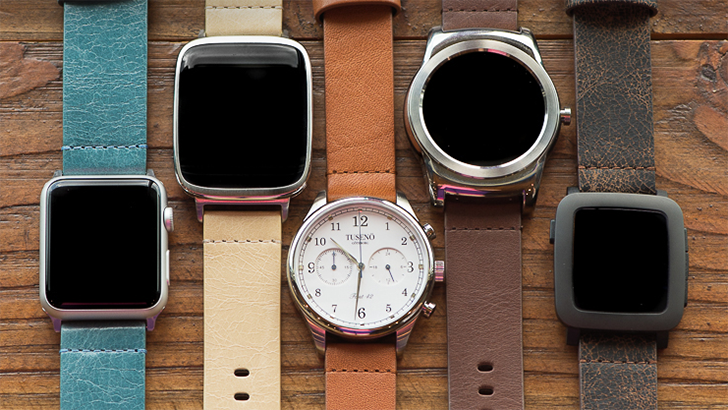 But just because a smartwatch is a piece of technology, doesn't mean it can't look nice. Several companies have been selling custom bands for smartwatches over the years, and perhaps the best in the industry is Clockwork Synergy. This time (pun intended), we have partnered with Clockwork Synergy to give away eight packs of the company's watchbands. CS has been a leading maker of quality watch straps and bands for over 10 years, and all the company's designs look fantastic on both 'dumb' watches and smartwatches alike. Clockwork Synergy even makes straps for the Apple Watch, if you're more of an iOS fan (or if you're looking for a gift for an Apple Watch owner). So, back to the giveaway. Each prize pack contains three awesome CS products, which will work with most smartwatches and normal timepieces. The first item is a Cordura Collection Band, available in a number of fantastic designs using genuine leather. Every single one is tear-resistant, easy to clean, and comes with pre-installed pins to make it easy to install and remove. Each pack also comes with one two-piece RAF NATO band. Compared to the Cordura Collection, the RAF NATO has double-layered Nylon instead of genuine leather. Each band also has premium stitching and head-sealed ends to ensure a comfortable feel on your wrist. These also have the same quick-release pins that the Cordura Collection has. Finally, we come to the last component of the prize pack, a Dapper Collection leather band. As you can probably tell from the name, these are the super fancy watchbands. They are available in a variety of designs, with your choice of five unique buckle color options on top of that. All of them use the 'Bomber' texture with a sweat-resistant lining, and the same quick-release pins that the other two designs include. This giveaway will run from Tuesday, October 17th to 11:59 PM Pacific Time on Thursday, October 19th. Eight winners will receive one Cordura Series band, one RAF NATO band, and one Dapper Collection band. Winners will be contacted by Clockwork Synergy in order to obtain shipping information and band color/style/size choice. This contest is only open to all countries except Malaysia, Russia, North Korea, and Indonesia. Good luck!